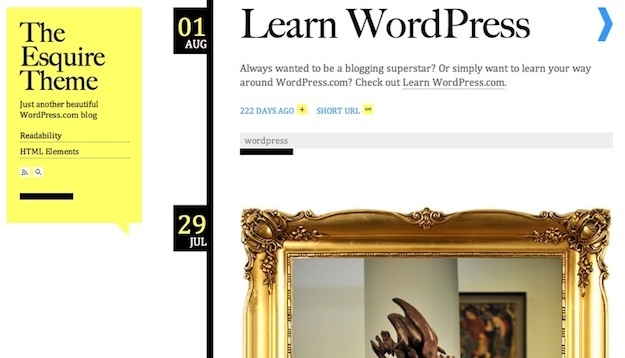 Picking a theme is always a big decision for any WordPress blogger. People make snap decisions about websites based upon how they look, so whatever design you choose will play a huge part in how successful your blog is. We have previously talked about good reasons for purchasing a premium theme, but plenty of you may choose not to. And for such people, there is no lack of choice – perhaps too much choice in fact. That is why we have gone to the trouble of picking the five best new themes available right now. Theme showcase posts are a dime a dozen, right? But just like with our Plugins of the Month posts, we like to do things a little differently here at ManageWP. 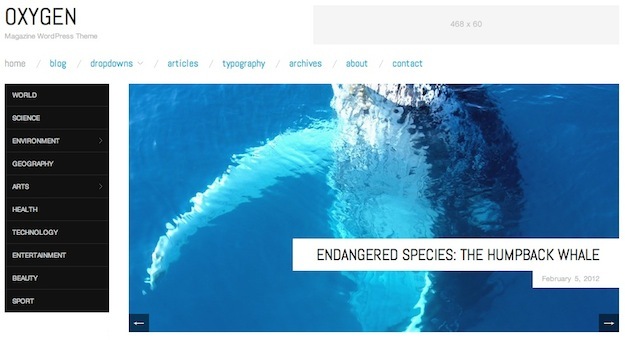 We have gone back and closely examined every single theme that has been released via the Free WordPress Themes Directory, and picked out only the very best. 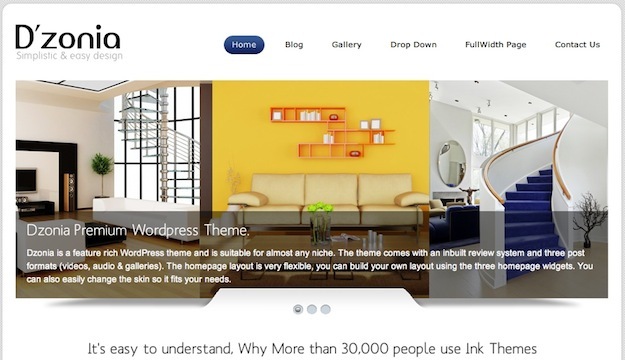 All of the themes you find below are brand new (or newly updated) and fully compatible with the latest version of WordPress. If you’re in the market for a new free theme this month, you need look no further than this post. So without further ado, let’s look at this month’s themes. If you want to tweak & customize these themes, we recommend checking out our child theme creation guide. This is the first of two themes in this month’s list designed by Galin Simeonov of AlienWP, and would be a great choice for any minimalistic blogger. Everything from its navigation bar to its categories list is beautifully crafted, and it is fully responsive to boot. 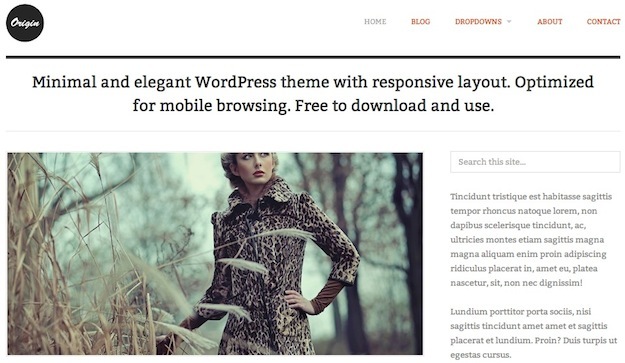 AlienWP features again with another minimalistic and responsive theme. 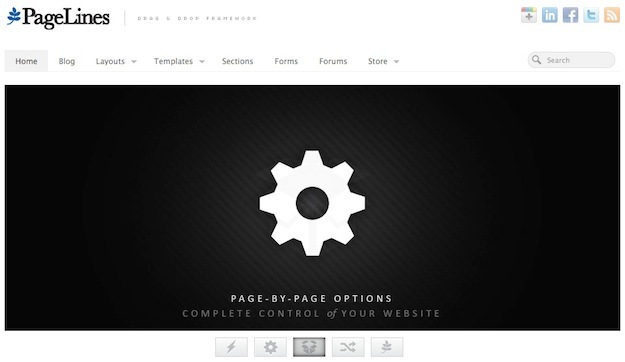 Origin is different from its counterpart in that it offers a more “standard” blogging design, with a clear chronological post listing and sidebar. There is also room for footer widgets below the main content. PageLines is easily one of the most well-known drag and drop theme frameworks, and with good reason. It offers those with little to no coding knowledge the ability to manipulate the design of their blog with ease. If you are in the mood for shelling out a few bucks, the pro option offers a wealth of additional features. As the name suggests, this is a light version of a premium theme, but that should not deter you from its standalone merit – Dzonia Lite is extremely good-looking. It is clearly designed for the commercial and corporate sector, so if you are looking for a free theme solution for your business, this could be it. Esquire is stark, bold and minimalist – and we love it. The menu bar to the left is static whilst the content to the right scrolls freely. If you’re looking for your blog to stand out but don’t want the cost of a premium theme, this free solution could do the job admirably. It also offers multiple post formats to provide variety and spice. Nice collections. Can I use this for business purposes? Sure! The use is unrestricted as all themes are open source. Just tested Oxygen theme, looks great! Thanks! Awesome Collection but i need bloggers type…. I like the design of managewp. Is is a custom design or available somewhere to download too. I’m afraid it’s a custom design! Excellent list of themes. I have downloaded Origin theme, I will try it. Thanks Tom ! Oxygen,Its perfect for my new blog.